I can’t help myself! 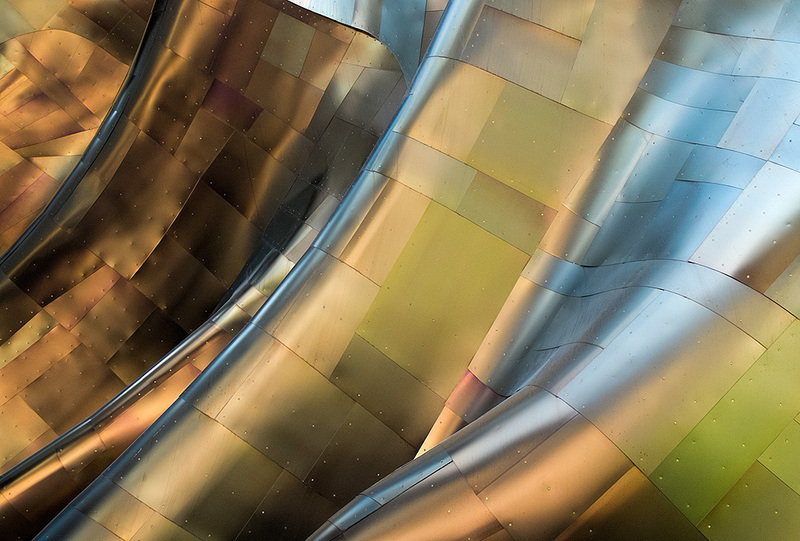 Here is yet another composition from the Experience Music Project building. Today, I’ll let music, do the talkin’. Let see how many music fans out there know the group I just referenced with that lyric. Great, John! Feel the Music. See you’re taking another bite of the cheesecake! John, How about The Four Tops–way back. I just enjoy every Gehry building image of yours. You have such a great way of seeing the reflected color. Is this done with a polarizer? Thanks. You bet Dennis. A polarizer is critical there. Which one — the original version from the Joe Perry Project or the re-recorded version by Aerosmith?? Ding, ding, ding, ding! We have a winner. Way to go Tom. I actually didn’t know Joe Perry did it first… thanks for that.